This show was broadcast October 4, 2011. 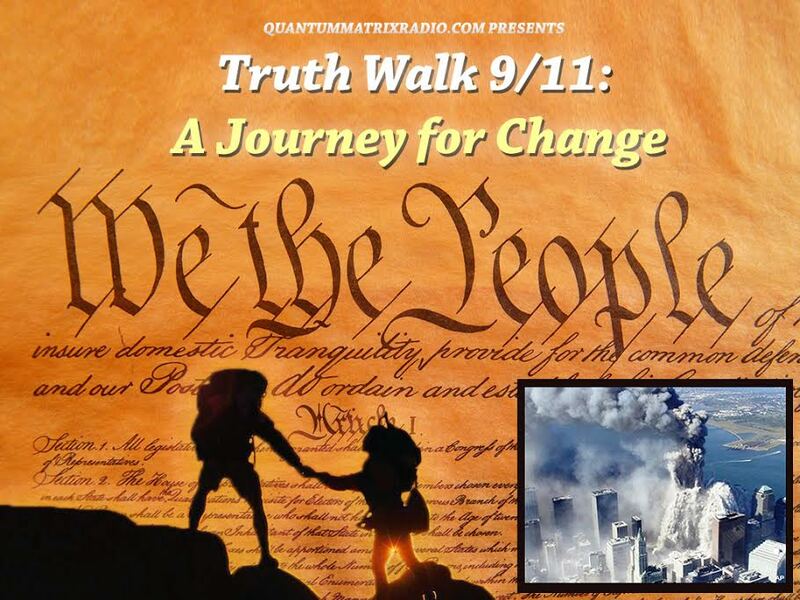 UK activist Ian Fantom: 10th anniversary breakthrough for 9/11 truth! I think everyone’s now suffering from 9/11 fatigue, following the bombardment from the mainstream media over the period of the tenth anniversary. Some of it wasn’t too bad, and some was even revealing, but of course virtually none of it questioned the official conspiracy theory and the ridiculous assertions put out relentlessly by governments and the mainstream media over the past ten years. I see reasons for hope, though. 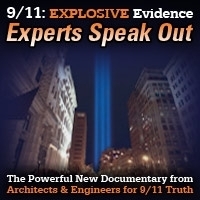 After the showing of the BBC’s Conspiracy Files programme ‘9/11 Ten Years on’ on 29 August someone asked me “How was it?” The falsifications were so blatant that I could honestly reply that it was encouraging, because many people would now be able to see through the propaganda who couldn’t have seen through it in their previous programmes. I thought it signaled a break-through. It was just as described by John Pilger in his Chicago address, when he reported an anecdote from visiting Soviet journalists in the US. Their spokesman said: “I have to tell you, that we were astonished to find after reading all the newspapers and watching TV day after day that all the opinions on all the vital issues are the same. To get that result in our country we send journalists to the gulag. We even tear out their fingernails. Here you don’t have to do any of that. What is the secret?”. And yet it was surreal. Throughout the blogs of the mainstream media the comments from the public were overwhelmingly critical of the official story, and of the press’s reporting of it. I had expected that we would be swamped with all sorts of weirdos doing their usual stuff to ridicule anyone who wasn’t toeing the official line and to disrupt intelligent discussion. Dealing with this had become a way of life. But where were they now? Had they given up? I contributed some comments myself in various places, and even complimented BBC Newsnight’s team on revealing the plight of many first responders who were now dying of cancer . I suggested that it was now OK for journalists to let a little bit of the truth out, because now they would have the support of the public. I think we’re winning, folks. On 12 September, an amazing blog appeared on the The Guardian’s website, headed ‘How the world changed after 9/11’ . “On the day of September 11, Charlie Skelton attends a symposium of critical thinkers in New York”, ran the subheading. Yes, it was a proper journalistic report of a conference of leading critical thinkers on the 9/11 attacks under that name . I see that as a break-through. For the first time as far as I am aware, an article has appeared in the mainstream media in the UK raising serious questions on the official conspiracy theory on 9/11. The significance of this is not just in the effect of that article as a one-off, but that it signals to other journalists that it’s now OK to raise such issues in the national press. I hope it doesn’t get Charlie Skelton into trouble, since George Monbiot, Polly Toynbee and David Aaronovitch all write for The Guardian. Unless the authorities find some way of silencing people over that Guardian article, other journalists will get the message, and the cracks in the facade will widen. So I was interested to see an article by Guardian journalist Nicolaus Mills on 15 September in The Guardian’s ‘Comment is Free’ headed ‘The anthrax scare: not a germ of truth’, and subheaded ‘Ten years on, the anthrax attacks seem a footnote to 9/11, but we forget how George Bush used them to push for war in Iraq‘ . The breakthrough is real. During the run-up to the tenth anniversary we would discuss what we could do to mark the event. Anything I could think of, and any ideas from others, all seemed like a drop in the ocean compared with the expected onslaught. I remembered the tactic of the Viet Cong during the Vietnam War, when they would await enemy fire, count a certain number of seconds, then all pop up from their underground hideouts and return fire when the enemy had run out of ammunition. However, shortly before the 9/11 anniversary Belinda, who used to organise the 9/11 Truth meetings in London, had a bit of inspiration, and organised a public meeting at the Indian YMCA for the Keep Talking group. The speaker was Ian Crane, who had been the first chairman of the London 9/11 Truth movement before I was around, and who now organises the Alternative Vision conferences. At the time, he was planning a lecture tour around the UK. Belinda has the magic touch, and so does Ian Crane. I was getting nervous about a low turnout, which could make the event look ridiculous in such a large hall, so I sent out a press release using various freeby services. The Keep Talking group put a couple of classified advertisements in London newspapers (one of which didn’t appear). But I think it was Ian Crane’s own publicity machine that got the people there. On the evening itself some of us initially put out about fifty chairs. About 170 people turned up. The issue is very much alive, and the authorities could hardly have done better in helping us keeping it alive. Earlier the same day, some members of Keep Talking were driving down from Sheffield, where they had been attending the employment tribunal hearing for Tony Farrell, the former Principal Intelligence Analyst for South Yorkshire Police, who had been sacked for his assessment of terrorist risks in the area, even though his bosses recognised that he may be right, as I reported in my August newsletter. By chance, Ian Crane had been due to speak in Sheffield on 9/11 and related issues. In the event, following his talk, Ian Crane ended up representing Tony Farrell at the tribunal. That evening, just as Ian Crane was about to speak at the London Indian YMCA, Tony Farrell unexpectedly turned up, looking in high spirits, despite having lost the case. He told us he intended to appeal. He got an enthusiastic round of applause after Ian Crane had outlined his story. I’ve just been speaking to someone I don’t know over the phone, who was telling me all about Tony Farrell’s mistakes, and why he can’t be right. But for me, the case shouldn’t rest on whether or not he is right, because no-one challenged him on that. In fact, he reported that his bosses had admitted that he may be right. So what was he fired for? It’s quite simple. As his bosses in South Yorkshire Police put it: “We are footsoldiers of the Government”. So, I sometimes think, are the courts. I wasn’t at the hearing myself, though initially I had planned to be. I thought it better to follow events on the Internet, and post the occasional comment. I also got a couple of press releases out and tried to catch up on other urgent work, like preparing for an Interlinguistics Symposium at the Adam Mickiewicz University in Poznan, where I had been invited to present a paper on the cause of the stagnation of the Esperanto movement. The university runs a course on Interlinquistics, and one of the organisers, a professor of sociology had sent me a paper of his titled ‘Esperanto-movado: ?u perdita komunumo?’ [The Esperanto movement: Is it a lost community?] . In that paper he contrasts two tendencies in sociological research: the common sense approach and the science-based approach, arguing that there was a dearth of science-based sociological research on the Esperanto movement. I had been doing science-based research work into the Esperanto movement in the UK, and this had caught his attention. They wanted at the Symposium to identify the present-day challenges to the Esperanto movement. In my presentation, I brought it all down to one single factor, the same as I would for the whole of the truth movement: coping with Cognitive Dissonance. Cognitive Dissonance is the uncomfortable feeling that people sometimes get when they are confronted with facts that are in contradiction to deeply held beliefs. This can lead to them making all sorts of silly statements and incoherent explanations, in order to avoid having to admit that their beliefs could be mistaken. I linked this to George Orwell’s ‘voluntary censureship’, which he wrote about in the preface to Animal Farm, though this was censured out during his lifetime . As long as this Cognitive Dissonance reigns, mass deception will be successful, but as soon as it is overcome, mass deception will be seen for what it is. The fundamental problem is not that an association or a government may be taken over by fraudsters, but that if it’s done with a smile, most of the voters will let them do it. Look at Tony Blair. How is it possible to believe that someone with such charm could have so many conflicts of interest whilst working as a peace envoy in the Middle East? 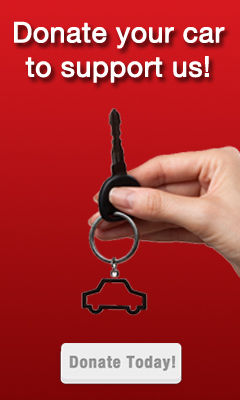 A Channel 4 Dispatches programme on 27 September presented an amazing story . But will there be consequences? The way to break through Cognitive Dissonance I think is to introduce the issues in the abstract, and then show the bigger picture when the person has accepted the simple facts or the logic. The best example of that that I can think of is the Dutch television interview with demolition expert Danny Jowenko. The interviewer showed him the collapse of Building 7, without saying when it happened, and asked him for his opinion. Only after he had said that it was controlled demolition did they reveal that it was part of the World Trade Center which collapsed on the same day as 9/11. Since he was an expert, he may have recognised it as controlled demolition anyway, but I think many of the viewers would have been coloured by previous knowledge. After the interview he was prepared to speak out on Building 7. I was saddened, on looking up the link for the video, to find that he died in a car crash six weeks ago . Similarly, in a talk at the London Esperanto Club, I had asked members whether any of them knew about the matter of Dermod Quirke and the library . As expected, they looked perplexed. I then told them that I didn’t either. I read out a short text which had appeared in the national association’s periodical, saying that no-one on the Management Committee knew anything about it either, and neither did whoever wrote the text. They looked bewildered. I then told them that I had asked Dermod Quirke about it and he couldn’t tell me. So who did know anything about it? Whether or not it happened to be true, the whole thing was a concoction. Only when members were sufficiently mystified did I reveal the context. It was part of a statement by the President, and presented an example of my ‘mischievous and possibly defamatory’ allegations against the Management Committee. It was their way of silencing me when I had revealed information which members were entitled to know. Members were being kept in the dark over a campaign to save the college in which the association’s own headquarters were housed. The President’s deception had worked . As I flew back from Poznan, some of the Keep Talking members were attending a ‘Conspiracy Theory Day’ conference in London . Speakers were to include the two authors of the Demos report on ‘conspiracy theories’ whom we met on 25 October 2010, when we in the Keep Talking group challenged them to demonstrate their ideas on ‘open infiltration’. Also billed to speak was their friend David Aaronovitch, known for his anti-truth-movement campaign. It was clear that this was to be a propaganda event for the conspiracy deniers. My eye was particularly drawn to the name of Robert Brotherton, said to be doing a PhD on conspiracy theories at Goldsmith’s College. Now that’s interesting; our confrontation with Demos took place at Goldsmith’s College by the invitation from another PhD student in conspiracy theories. I was expecting the whole thing to be stage-managed. Demos had not responded to my challenge for a return match, and we had not been invited to present our case at their ‘conspiracy theory’ meeting. But at the last moment something weird happened. David Aaronovitch pulled out, and he was replaced by Ian Crane . Some of the Keep Talking group attended as members of the public, including Kevin Boyle, who wrote the meeting up on his blog , which was reproduced in Sovereign Independent . From his description of the event, it sounds as if it was far from walking into the lion’s den, as I had expected. He wrote that Ian Crane’s presentation was “clear and powerful and punctuated with regular applause”. Ian Crane also handed the stage over to Tony Farrell for five minutes, “and here was the whole confrontation of the day personified in one man”, Kevin wrote. It sounded like a rout, so I sought a report from the other side, and found one, of all places in the CiF Watch website, which describes itself as “Monitoring and exposing antisemitism on the Guardian’s newspaper’s ‘Comment is Free’ blog” . What the relevance of that is I haven’t yet figured out, but Jamie Bartlett did try to tell me that the antisemites were having a go at Carl Miller because of his Jewish name. Don’t try to make sense of it. In any case, is the idea that there could be criminals in the Knesset as well as in Westminster and the Capitol antisemitism? If it is, that can only be because ‘anti-semitism’ lost its hyphen long ago. The CiF Watch report stated that nothing in Ian Crane’s presentation constituted “what could be called rigorous scientific evidence let alone proof”. Yet Carl Miller had admitted to us that their own statistical results linking conspiracy theory groups with terrorism was not based on any statistical analysis, and Jamie Barlett admitted that the Demos report was “not a scientific report”. However, CiF Watch did inform us that “The ‘troofers’ also set up a stall at the back of the hall from which they sold copies of DVDs which purported to tell us the real story about the events of 9/11 and 7/7”. Great! The intention had been to hand them out outside the conference, but they ended up selling the packs at £1 each. They reported back to Keep Talking: “DVDs and flyers went like hot cakes at yesterday’s Conspiracy Theories Conference. A great day for our side”. As for the psychologists, I found a documentary on YouTube, broadcast on Channel 4 three years ago, featuring Professor French and his co-worker Patrick Leman. Dr Leman stated: “As psychologists, we’re not principally interested in whether one particular conspiracy theory is true or another one isn’t”. ‘See No Truth, Hear No Truth, Speak No Truth’ . This is an excellent analysis, and again it comes down to tackling Cognitive Dissonance. The remaining practical problem that I see is tackling the opposition, the propagandists who know all the psychological stuff and have been applying it more effectively than we were, but to mislead and discredit. As always, I think the main part of solving the problem is understanding it, and David’s analysis is very welcome in furthering that aim. I found it interesting that former head of MI5, Eliza Manningham-Buller, giving a BBC 2011 Reith Lecture on 20 September, asserted: “The terrorist now has at his disposal tools which were once the sole preserve of the state” . Really? Hydrogen peroxide and black pepper? That’s what we were told the 7/7 Four used to blow up three trains and a bus. Hydrogen peroxide has been used in hair dye since about 1860, and black pepper goes back at least as far as Rameses II, and was available in Europe in the Middle Ages. So what is Eliza Manningham-Buller suggesting? I don’t know, but if in the past only states had the facilities to commit such terrorist atrocities, then perhaps that’s still the case. Well, actually, in her first lecture on 6 September, she stated: “But I do not expect terrorism as a tool, often used by states in earlier decades, now used largely by groups, to disappear” . So who sponsors these groups? Yet there was no consideration of such issues; she stated that they came to an immediate conclusion that al-Qaeda was responsible (See my comment) . These partial admissions are interesting. These people seem to be positioning themselves; it’s now only a matter of time before the mainstream media start asking them what they knew and when they knew it. Yet as the national press is starting to admit reality, Liverpool Football Club is considering disciplinary action against striker Nathan Eccleston for tweeting: “I ain’t going to say attack don’t let the media make u believe that was terrorist that did it. #OTIS.” . ‘OTIS is presumed to stand for ‘Only The Illuminati Succeed’. This is reminiscent of the American footballer Rashard Mendenhall, who got into trouble for Twitter remarks questioning the public celebrations of Osama bin Laden’s death, and whether the World Trade Center towers were really brought down on September 11 only by crashing two hijacked airliners into the buildings . These people need our support, if only because others who may wish to speak out should not feel intimidated. The antidote is to keep talking. 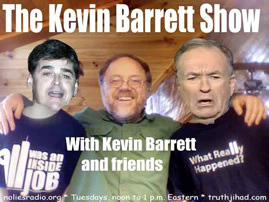 This entry was posted on Tuesday, October 4th, 2011 at 6:58 am	and is filed under 9/11, Kevin Barrett, Mind Control, News, Protest. You can follow any responses to this entry through the RSS 2.0 feed.